The idea being that as a sizeable, independent town with a variety of community groups doing good work, having the support and profile of a Westhoughton-wide community network could be beneficial. Westhoughton Community Network (WCN) could be an informal, community-centric collection of the voluntary and community organisations across the town that would be run for and by participating local groups. It would also be independent of both council, political structures and sector agencies. Enthused and starting small, known group representatives were contacted with the idea of what WCN was hoping to achieve and invited to a first meeting of which the aim was to establish, give form to and set some objectives for the new network. Meetings of the Westhoughton Community Network take place quarterly at venues around Westhoughton, with local groups providing the venue and facilities. This helps spread the cost of holding meetings, and also introduces venues and group 'homes' to other members of the network, which is proving a good way of raising awareness of the variety of groups and activities in the town. WCN does not receive any public funding and survives thanks to the goodwill of individuals and support of its members. Sponsored by The Rotary Club of Westhoughton, the inaugural forum meeting took place on 9th August 2011 at Brookfield Hall with groups taking part in the establishment of the community network. Informal discussions took place on its structure, objectives and how it fits in with and how it can be complimentary to existing group activities. As well as some of the issues facing groups locally - fundraising, facilities, resources. A list of priorities provide a framework for the group, these will include: communication, information sharing and support. The second meeting took place on 6th September at The Westhoughton United Reformed Church (The Bethel). Another very well attended meeting, with some new faces; continuing with the evolution of the network, covering a basic terms of reference, information share, events and membership. At the third meeting took place on 15th November at the Westhoughton Community Centre (Central Drive), agenda items included membership, who could attend (typically group leaders or representatives), voting (by group only on substantive matters), and keeping it strictly non-political. 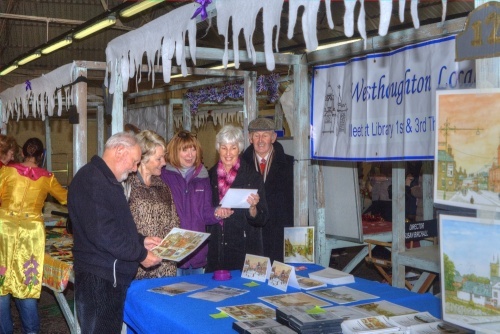 WCN was to look at putting on an event, to take place at Westhoughton Market, with a view to promoting community groups and encouraging participation in group activities. The first meeting of 2012 took place at St. John's Church Hall on 15th February, and included a presentation on grant funding, and updates on the WCN Community Fayre & Luddites Bi-Centenary event (22 April) - meeting notes; on 15th May at the John Holt Centre courtesy of HACFRA, the meeting discussed the WCN Community Fayre (21/4), Luddites weekend, Daisy Hill In Bloom and the big W.A.C.O. It's-A-Knockout event (27/5). In the summer, 15th August, we were privileged to hold our meeting in the hallowed rehearsal room of local music legends, Wingates Band, where we had presentations on the history and upcoming 140th anniversary year of the brass band; as well as Westhoughton Leisure Centre, and feedback given on preparations for the November WCN Community Fayre. The 15th November meeting took place at the recently refurbished Westhoughton Leisure Centre. A well-attended meeting that introduced new groups and a new project to tidy up and improve Westhoughton Railway Station, as well as final preparations for the Community Fayre, and news about a Victorian Market on the following Saturday, also at Westhoughton Market. The meeting finished with a tour of the facilities, and news of special offers. The second WCN Community Fayre was held on Saturday, 24th November. 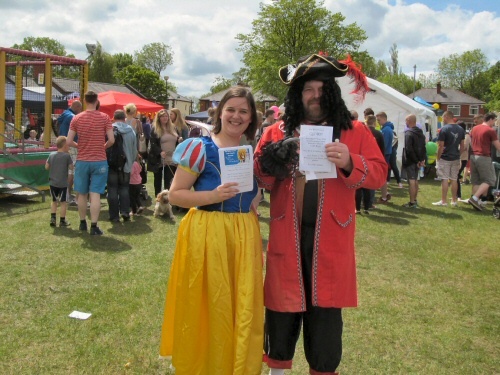 With 17 groups having stalls and others involved, the fayre built on the success of the April event, and was a good opportunity for the public to learn about local groups, whilst raising the profile of both the network and the community-led support activities going on in Westhoughton. First meeting of 2013 took place at Westhoughton Methodist Church Hall (20th February), home of the long-established Amateur Dramatic group. We had a visitor, Dave Bagley of Urban Outreach who came to talk to us about Foodbanks, giving us some background - their growth and importance, and how it all works; a very interesting discussion, and one that Westhoughton Community Network will be taking forward with Churches and local groups. Since the meeting a network of collection points has been set-up around Westhoughton with groups and churches working together to collect and get the donated food to Urban Outreach for distribution to those in need. There was a discussion on putting on another Community Fayre in June with a need to make arrangements regarding date, venue, participation and promotion. With updates from groups regarding news and events, there was a lot to cram in - this included the Westhoughton Station Project now up to two days per month; Washacre FM 87.7 (on air 16-22 June) with its extended 'Community Show;' the W.A.C.O. It's-a-Knockout event (2 June); History Group projects (Westhoughton industrial heritage and a Daisy Hill trail), as well as it being a big 140th Anniversary year for Wingates Band. The May 22nd meeting at The Bethel saw a number of new faces with updates on new groups and projects, with some big events being imminent - W.A.C.O. It's-a-Knockout, Washacre FM 2013 and our own WCN fayre. We also had an update on the Foodbanks project having established through WCN a logistics network to work with Urban Outreach - good to see groups coming together in this way. Our third Westhoughton Community Network Community Fayre took place on Sunday, 2nd June, featuring a number of our groups as we joined forces with W.A.C.O. on its big 'It's-a-Knockout' event, and with Bolton College as the Community Learning Centre promoted its courses and offered tasters on the day. A day blessed with sunshine and a very good turnout of local people enjoying the event and seeing what else was on offer. Our September meeting took us back to St. John's Church, Wingates, where the church hall has been recently refurbished and now offers much needed facilities for the community. The main topics being the relaunch and rebranding of Westhoughton Visiting Service as Senior Solutions and the take-over of The Communiversity by Hope Church. It was decided at the meeting to wait until 2014 before the network had another Community Fayre. Westhoughton Market is to hold a 'Victorian Market' on Saturday, 7th December, which will involve a number of WCN groups. In November, our final gathering of the year took place at the John Holt Centre with the feeling that WCN has made a positive contribution to the community in Westhoughton bringing together and promoting local groups - it was WCN's 11th meeting. The meeting discussed growing food for the community, learning from the very successful Incredible Edible scheme which started in Todmorden. We also learned about new community interest company, WAVE, which has formed to take over the management of the John Holt Centre from Bolton Council, and is planning for future growth and investment in the community. December is a busy time for community groups as evidenced by the information share - local people giving up their time and making a big difference within their community. The first WCN meeting of the year took place on Wednesday, 5th February at another new venue, in an annexe at St. Bartholomew's Church, on the agenda was a presentation by Mark Grundy from Bolton CVS talking about grants and funding available to community groups - in spite of cuts to budgets there is money available and Mark's team offer a good resource for information and help. There was an update on W.A.C.O., some organisation changes for them and new objectives to direct fundraising towards helping local causes. 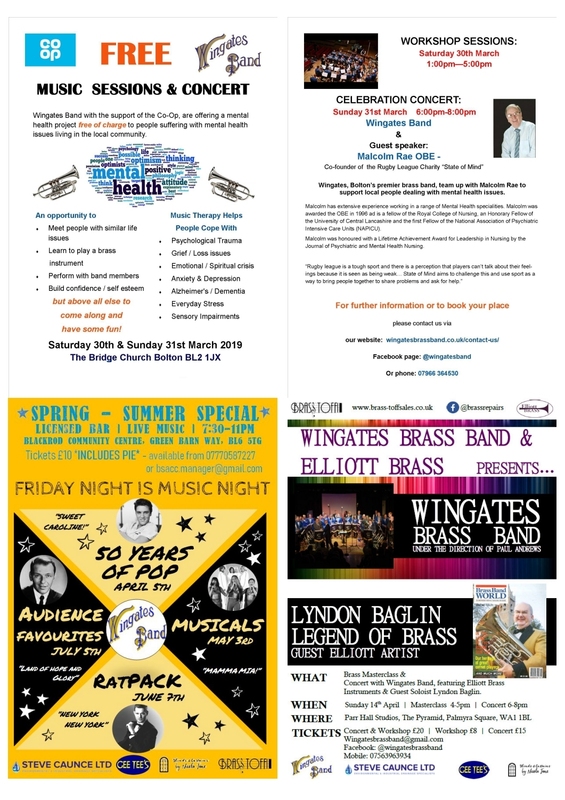 Discussion took place on a Summer Community Fayre involving Westhoughton community groups; and David Kaye gave an update on the phenomenally busy and successful 140th anniversary year for Wingates Band. This was the Network's 12th meeting - newcomers are always surprised at just how much good work goes in on Westhoughton! Our May meeting took place for the first time at Washacre Primary School which stepped in to provide an alternative venue. The school is very active within the community and offered an interesting setting and youthful perspective for a very enjoyable meeting. The main topic of discussion was the upcoming Big Fun Day event in June, an update on the Washacre FM broadcast, as well as the all-important information share and group news. We remembered a local singer, Joe Hart, who often helped with fundraising for good causes in Westhoughton, who passed away in May. 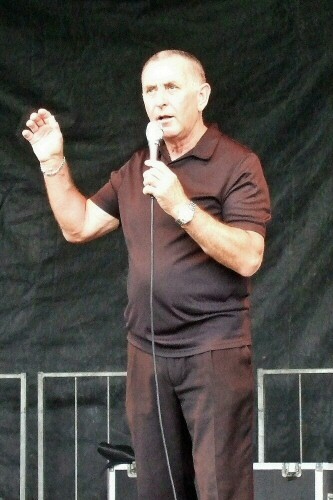 During the summer months a number of events took place around Westhoughton. 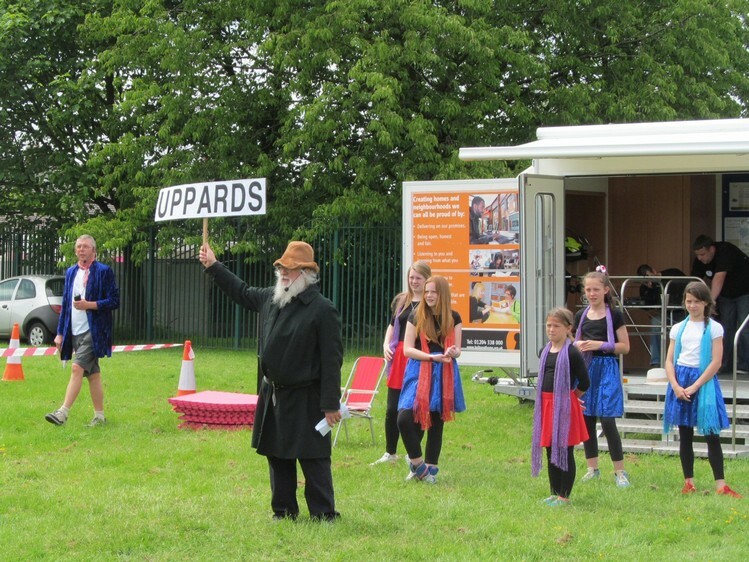 On 1st June a joint community event took place at Central Drive - the Big Fun Day which brought together Churches, community groups, sport, entertainment and a funfair. The day was a great success - photos selection (flickr). In mid-June, for its 8th year, community radio broadcast Washacre FM took place giving local volunteers the chance to be involved in a project that reached beyond Westhoughton. WCN were involved, being the focus of The Community Hour presented by Chris Buckley during which group representatives would come in for an on-air chat. Another success was the Radio Play in which Westhoughton Methodist ADS worked with Washacre FM to produce a 7-part drama serial. The week ended with the 'Showcase Day' with its fun and entertainment in and around The John Holt Centre - Photo Selection (flickr). Elsewhere, the Local History Group organised an exhibition to commemorate World War One with a focus on the impact on Westhoughton (at Library until November 11th); and Friends of Eatock Lodge had, with Lancashire Wildlife Trust, organised a summer activity programme for children around the nature reserve. Our final meeting of the year took place November, for the first time at Sacred Heart RC Parish Hall. A busy meeting, again with some new faces in attendance. Pre-Christmas is typically a busy time for our community with special events, as well as it being a time to gather, celebrate and take stock. We had a visit from the police, for whom the Pcsos gave a presentation on a new grant scheme available to groups and for projects in Westhoughton - they commented just "how strong the community is in Westhoughton." The GM Police initiative will culminate in a public event in January - Westhoughton You Decide. The room was informed about upcoming Victorian themed events in the town centre on Saturday, 6th December at both Westhoughton Market and the Carnegie Hall/Library, with stalls, things of interest, entertainment and even Santa popping along. The Information Share seems to be getting longer with so much going on! Our Foodbank Network continues to support those less well off and has brought WCN to the attention of eON whose staff are to collect food for our cause. In 2015, we will be looking at promoting a food-growing network. Wingates Band informed us of a trip to Scotland for a brass band competition - the name of Westhoughton resonating north of the border. Our two amateur dramatic groups have pantos coming up. 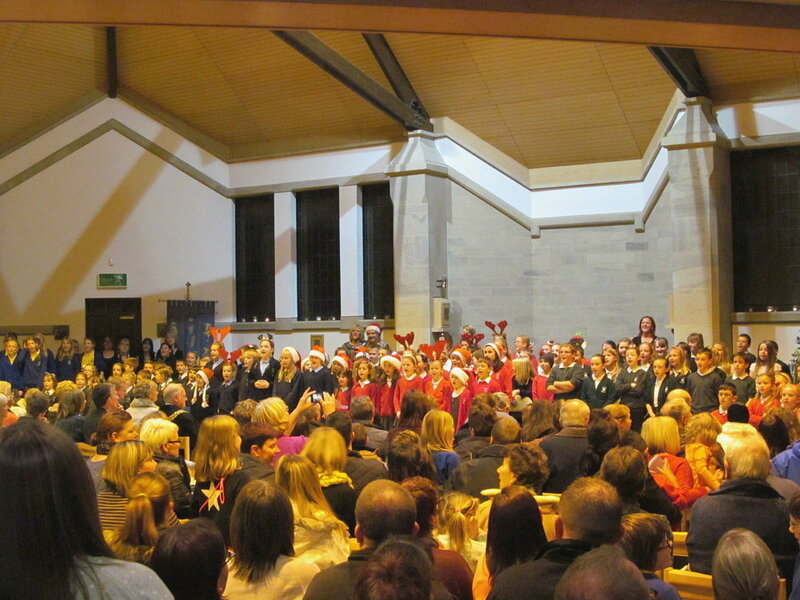 For our church community this is a key time for both worship and their community ties - on Friday, 28th November, St. Bartholomew's is the focus as we switch on the town's Christmas Lights and join all of our schools in Christmas song. First meeting of the new year took place in February, with some welcome new faces present, and at a new venue, Westhoughton Golf Club - people new to WCN are always surprised at how much goes on in Westhoughton and how well the group interacts. A busy meeting with a number of presentations to add to the regular information sharing. We were pleased to welcome Karen Edwards (MBE) to give the group a first update on exciting plans to enhance youth provision in Westhoughton, the high profile and successful Bolton Lads and Girls Club taking over a former primary school and setting up a facility on Central Drive. The reaction positive, with WCN groups keen to help and be involved - BLGC Proposals. We had an update and feedback on the Westhoughton You Decide event which was a great success with many WCN groups successful in obtaining funding for upcoming projects. With a crime theme, the meeting also welcomed two JPs talking about Magistrates in the Community, and raising awareness of the role of volunteers in dispensing justice, and available information and training. People mingled and networked at the break. Now in our 4th year, it is clear to see the impact the Network has on bringing people and groups together. Post-break, another visitor, Tracey Wilkinson from Bolton ICD Support gave a presentation on defibrillators, support groups and fundraising for the region-wide campaign to equip schools and sports clubs with these life-saving devices. Groups shared information (minutes)… of note, plans emerge of a Westhoughton Yarn Bombing Festival lead by Rainbow Crafts early July (4th) - an event to involve the whole community; Washacre FM will be back on air 1-7th June, again involving Westhoughton Methodist ADS who will be doing a second serialised radio play. Also, a generous offer of both venue and party facilities was made by local venue Brookfield Hall who are keen to support WCN. The September meeting marked 4 years of WCN, which has grown into a useful community resource, making a positive contribution to the town. It was kindly hosted by Brookfield Hall. A well-attended meeting it featured an update on the exciting new Youth Facility from Bolton Lads and Girls Club - a £70,000 refurbishment of the old Central Drive Primary School due to open in November. There was a presentation from Bolton Wanderers Community Trust - a new health and fitness programme for the over-60s. Scarlett Berry (and her mum Sarah) talked of their 'Barking Berry' animal fundraising exploits (over £16,000 raised to date), with a Christmas Fair planned in November. Groups share news and events updates; and a the possibility of a WCN Christmas get-together was discussed - a more social event and chance for our community champions and especially the smaller groups to have an enjoyable, informal night together as Christmas approached (subject to funding being available). The final meeting of 2015 was in November at Washacre Primary School. The pre-Christmas period a busy time for the community and the army of volunteers and group leaders. There was an update on the new Youth Facility, Project Leader Karen Openshaw, overwhelmed by the support from local community and business - the doors will open in January. Creating a stir with her charitable endeavours, Scarlett Berry - and mum - prepare for their latest animal fundraising event (28/11). Rainbow Crafts return with a Christmas fair at the Carnegie Hall (6/12). Civic events take place as the community comes together for carol singing (27/9) and remembering the souls lost at the Pretoria Disaster (21/12). Wingates Band celebrated another milestone - 100 years of recording! Plans too for a WCN Christmas Party - a first social event involving community groups. The atmosphere of the meetings is convivial and a credit to our community - there really is so much going on; and so many people giving to that end. 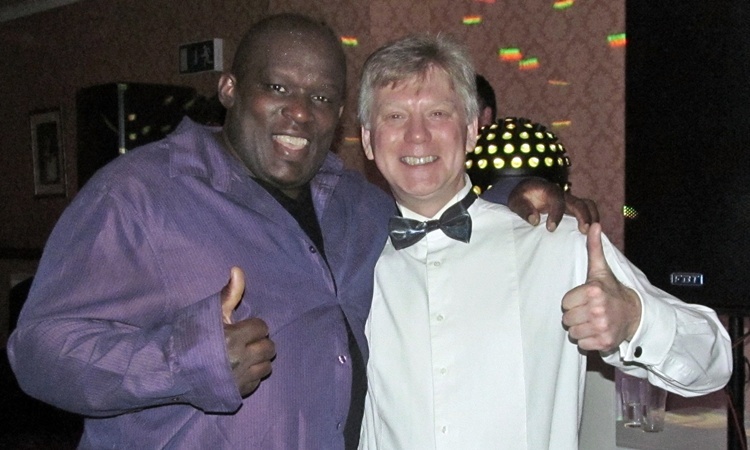 Christmas Party: on Friday, 18th December, a first social event for community groups and people within the wider community took place at Brookfield Hall. The idea being that groups, particularly the smaller groups could come together to enjoy a meal and some entertainment - a chance to dress up and gather together. Unfortunately, WCN were unsuccessful with a funding application to subsidise the cost to groups and so show appreciation for their efforts - given mostly as volunteers - within the community, however, supported by the venue, numbers were made up with other groups and the event took place. Those that attended enjoying a very good evening, and have given some positive feedback. Hopefully it is something that we can do again! A new year and a return to St. Bartholomew's Church for our 20th meeting, anticipating another busy year of community activity ahead. We welcomed Dawn Lythgoe of Bolton Council to talk about the Community Empowerment Fund, which seeks to help start up innovative and sustainable projects to benefit the community in key areas (currently youth and environment), allowing the Council to save money by empowering local people. With uncertainties over the future of Westhoughton Community College, views were aired regarding both the need and role of further education locally. Offerings are 'under review' with marketing support withdrawn. It is hoped upcoming meetings with management and community involvement can find a way forward. The Information Share updated groups on news and events. The 2016 Westhoughton Yarn Bombing Festival was launched to groups - a high profile event that brings the community together. We welcomed a new internet-based radio project - Howfen Radio. Bolton Lads and Girls Club Westhoughton is now up and running; open four evenings a week for Junior (8-12) and Senior (13-19) sessions. A dedicated role created to develop links within the community. After a hiatus, there is a possibility of them reviving the 'It's-a-Knockout' event in conjunction with W.A.C.O.. The Friends of Westhoughton Station project continues to impress - looking good and getting things done (new platform shelters recently installed) - with recognition and an award from the Town Council. An exciting Wingates Band project will see a book turned into a musical show (The Great Shindig). Westhoughton Methodist ADS will soon be entertaining with their 35th panto - The Princess, the Penguin and the Potting Shed. We learned of a Bolton-wide history and heritage project led by All Souls Church to happen June/July, that will involve Westhoughton groups and schools. WCN, not only good at linking groups locally, but also a point of access for the wider community of Bolton and beyond. The May WCN meeting was kindly hosted by Woodlands Westhoughton, the new Dementia Care Home on the former Red Lion site - good to see local businesses getting involved with our community. Another busy agenda, so well-attended we needed extra chairs from another wing of the home! First up was Westhoughton Community Learning Centre, Head of Curriculum, Carmen Gonzalez-Eslava, who gave an update on the issues facing adult and community learning providers dealing with tighter budgets and government priorities favouring work-related courses rather than subsidising hobby interests and specialised courses. Carmen took some questions. Bolton College consulting with community and interested parties is looking at ways to ensure the centre continues to stay open, with both a learning and community element. New courses have recently been offered, and planning is being undertaken for the 2016-17 academic year. 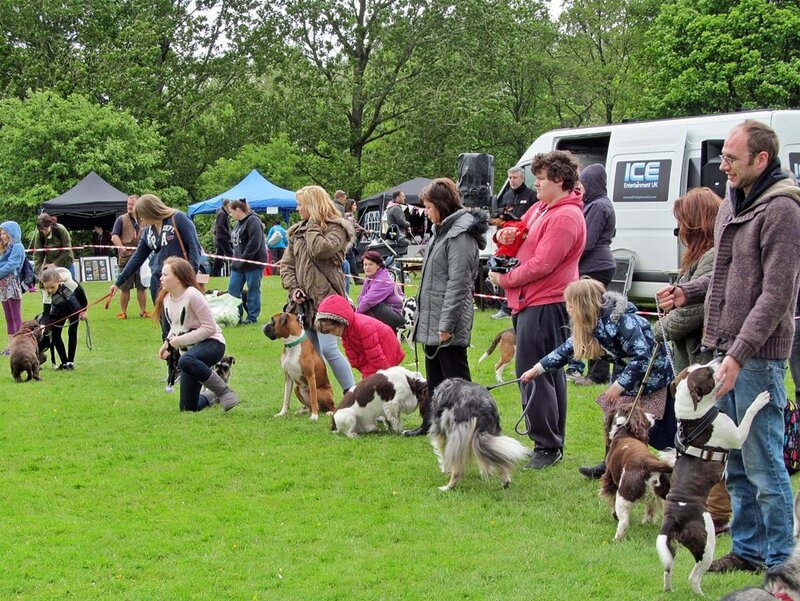 With Barking Berry's 4th Fun Dog Show coming soon (4th June - Central Park), Scarlett Berry gave an overview of stalls, activities and dog show element on the day. This time raising money for Rochdale Dog Rescue and Dogs Trust Merseyside. To date Scarlett, helped by her family, has raised over £20,000 for animal charities. She was congratulated on her Town Council 'Young Citizen of the Year' award, as nominated by WCN. Kellie McGarry told us of the return of W.A.C.O. 's 'It's-A-Knockout' at Central Drive on 22 May. Always a popular event, teams take part in the wet and soapy 'It's-A-Knockout' competition; in addition, there is a funfair and a wide selection of stalls, and things to see and do. Some of the money raised will be supporting the new Bolton Lads and Girls Club Youth Centre in Westhoughton. We had an update on the Westhoughton Yarn Bombing Festival (2nd & 3rd July) with its mix of community-made, colourful yarn displays along Market Street, plus stalls, entertainment, a Community Royalty event and an art exhibition. This year there will be an Alice in Wonderland theme. Many groups represented in the room as we did the information share. Three entertainment troupes keen to help the community by performing at local events: The Travellin' Strings, the George Formby Society and Wingates Band, the latter had new representatives - retired David Kaye was thanked for his years of service to band and community. Good to see Scouts, Guides and Brownies represented - volunteer leaders needed. Westhoughton Leisure Centre, now very much a part of the community, spoke of half-term sports offers and the new 3G all-weather pitch coming later this year. A busy and full agenda as we continue to inform, share and engage. A cordial meeting in which presenters were well received. The network continues to both thrive and do good work. Looking forward to a busy summer out in our community. Minutes. 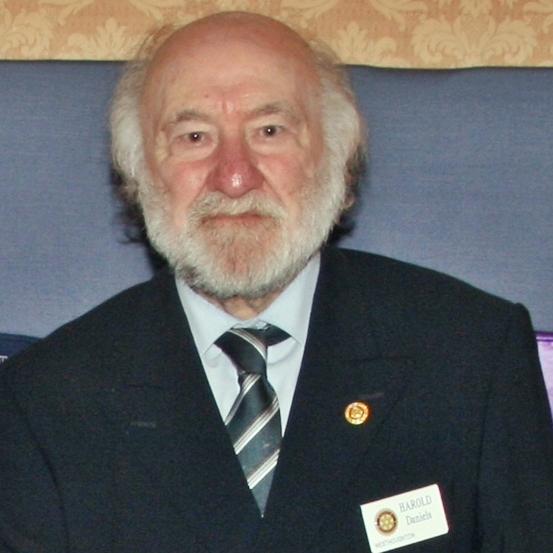 A few weeks after this meeting WCN was shaken by the news of the death of our Chair and Rotarian Harold Daniels, who was one of the founding members of our network. A lovely man who did much for our community, and whose good works extended beyond Westhoughton - a great example to all, he will be greatly missed and fondly remembered. A special commemoration of his life took place at St. Bart's 16th October with contributions from those touched by his kindness and selfless generosity. Hosted by Brookfield Hall, our September meeting was our first group gathering since the death of our Chair, Harold Daniels; we took some moments to remember our much missed friend, and shared a few memories and stories - his warmth, community spirit and sense of humour coming across. There was discussion on WCN itself and its status - though in existence for over 5 years, and featuring prominently in local life, it has done so without a formal constitution and without funding. A credit to those who selflessly keep it going. To continue, funding will be needed; as a network it is hoped to pull in funding and resources that can benefit all groups and allow collaborative projects. The all-important information share saw a couple of new initiatives: one a new music event involving the fledgling Howfen Radio supported by the John Holt Brewery; Howfenbury at the White Lion Car Park (Saturday, 17th September) will provide a showcase for local talent with something for every one, as well as family fun. Another, a new initiative P.Soup at the John Holt Centre is about empowering and supporting communities - with a project launch Family Fun Day on Saturday, 10th September. Our ADS groups will be performing soon - The Bethel Crowd's 'Little Shop of Horrors' and a Whodunnit from Westhoughton Methodist ADS; both planning for their winter Pantos. Visiting Service and more, Senior Solutions, whose future looks more secure, have moved into new, Council-run premises at the refurbished Winifred Kettle Centre, and have added a popular social afternoon at Sacred Heart for clients and carers to their regular events. Held at the newly refurbished Winifred Kettle Centre, the November meeting was our final meeting of 2016. We welcomed Harold Daniels' daughter, Susan, who gave an at times emotional update on the Legacy Fund and the newly available booklet 'Harold Remembered'. With some £3,000 raised, the fund hopes to support projects in the community. It was good for Harold's family to see what he had been part of at WCN. Dawn Lythgoe, from the Bolton Council Chief Executive's Department, gave an update on the Community Empowerment Fund, a revised and expanded scheme to help start-up projects that both benefit local communities and provide services or support that due to budget constraints the council can no longer provide - a way of tapping into community goodwill and enthusiasm to get life-enhancing things done locally. Amongst the new faces, the group heard from Westhoughton High School, with an introduction to its new Business Hub and Meeting Centre and updates on community initiatives; Darren Knight, the new Chief Executive of Bolton CVS informed us of help available from the Bolton Hub and got to share in the goings on here in Westhoughton. Youth Workers Katie & Beth gave an update on the Westhoughton Youth Project. And from Over Hulton, we had an interesting presentation about 'Men in Sheds' - an initiative to encourage practical hobbies than can assist in community projects. The 'Information Share' showed that there is much going on and planned for the end of the year and into 2017 - an especially busy time for our Churches. Panto-time for our Amateur Dramatic groups; the possible return of Washacre FM for a 10th anniversary broadcast; a 20th year for visiting and elderly support service Senior Solutions; fundraising by W.A.C.O. ; and an update on Planning Developments proposed in the Greater Manchester Spatial Framework which could have a significant impact on Westhoughton in terms of further strain on infrastructure, services and urban sprawl - something that could be detrimental to our sense of community and independence. Whilst there has been some sadness and challenges faced, 2016 has been another year of achievement for our groups. WCN remains busy and will continue to support this vibrant and go-getting community. The first meeting of the new year saw Westhoughton Community Network return to St. John's Wingates. One of our best attended meetings, covering a wide range of topics. 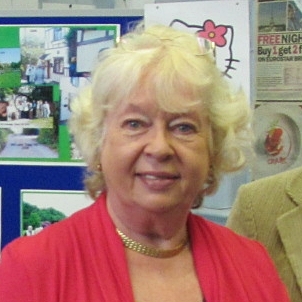 Sadly, in recent weeks two key figures within our community were lost to cancer; tributes were paid to Bill Greenhalgh and Pam Clarke… Bill was the driving force behind Westhoughton Methodist ADS having been involved for over 30 years as director, producer, scriptwriter and actor for the amateur dramatic group… Pam was THE expert on Westhoughton history, and led the popular Westhoughton Local History Group, which has seen the production of books, exhibitions, events, videos and even tours cataloguing the rich and impressive history of this small, northern town. Both contributing greatly to local life and the community; their presence and forces of nature will be much missed. Mark Grundy of Bolton CVS returned to give an update on grants and funding available to the sector - there is less money around, but still the opportunity to find funding for beneficial projects. It is encouraging to see Bolton Council and support agencies being involved with WCN, seeing it as an exemplary and significant force for good and means of engaging with local community groups. With some input from local councillors, doubts have been raised about the future of the Westhoughton Community Learning Centre, which sadly seems to be winding down; as well as offering learning, it is has been the home of a number of groups - the loss of venues to allow groups to meet and flourish is something of a concern. After initial efforts to be open and involving Bolton College need to do a better job of communicating what is going on! As usual there were updates from established groups, and some new faces including Westhoughton Library, which is proving to be an important community asset. The 'Men in Sheds' initiative from December has gained some traction locally, working with another of our groups. 2017 will see the return of W.A.C.O. 's 'It's-a-Knockout' event (29th May) and a fifth Barking Berry's 'Fun Dog Show' (10th June - Central Park). It is hoped the Westhoughton Yarn Bombing Festival will return this year later in the summer. One of the areas to be looked at is that of volunteering and getting more younger people involved with community groups and ongoing events; unfortunately over time with age and ill-health we will lose the older community stalwarts - it has been noticeable this past year - and it is vital that the generations below are there to take on the mantel and continue the priceless gift of putting something back into their community. The meeting on Wednesday, 17th May saw WCN return to Wingates Band Hall, the hallowed home of one of Westhoughton's great institutions. We welcomed Dave Bagley of Urban Outreach to give us an update on Foodbanks, initiatives and campaigns to help the poor and to encourage more self-sufficiency on a budget. The Grub Tub network in Westhoughton has grown and continues to provide welcome support to the Storehouse project. With two big events coming soon, we had updates from Kellie McGarry for W.A.C.O. 's 'It's-a-Knockout (late May Bank Holiday) - community groups encouraged to be involved with this popular event; and the 2017 Barking Berry's 'Fun Dog Show' - Scarlett informing us that the fundraising total is near £25,000. A busy and full information share as groups updated us on their activities and upcoming events. At Westhoughton Station a garden tribute to Harold Daniels is now in place, the station blooming; there was news of a new initiative to support local musicians with a possible 'Open Mic' evening. On that theme Wingates Band gave an update of their busy schedule and their appreciation of being part of the community. At the end we touched on developments at the former Westhoughton Learning Centre, which is to become a 'Community Hub'. It was announced at the meeting that WCN will be having different Chairs for future meetings to give groups greater ownership. A new 'Community Hub' at the former college on Central Drive is taking shape with its doors open to groups, businesses and new initiatives. The coming months will be for getting it up and running, whilst it won't be 'officially' open until March 2018. Gaynor Ratcliff gave an update and took questions. It is hoped the new centre will become a useful, complimentary addition to the thriving community scene in Westhoughton. There were some new faces including a brief presentation from mental health charity BAND, looking to re-establish itself in Westhoughton. There was a theme of mental health support at the meeting, it being something that affects a great many of the population. Also present was Martin Boggan of the new Red Lion Apartments - SIL - which provides support programmes and a stepping stone for mental health patients out of hospital and re-engaging with daily life. Visiting and impressed with this unique WCN forum, Darren Knight, CEO of Bolton CVS gave an overview of the service and support offered to community groups including grant funding. The Information Share covered a busy few summer months and into the autumn, September alone will see a big programme of events and community activity (September Events), which include Heritage Open Days, and a second 'Howfenbury' music festival. Later in the month Westhoughton Local History Group will launch their latest, free exhibition, 'Aspects of Howfen', at Westhoughton Library (23rd September to 31st October), profiling the many facets of the Westhoughton's rich industrial, social, cultural, educational and sporting history; a new permanent feature, a historic Westhoughton 'Timeline', the idea of the late Pam Clarke, is to be unveiled. On a more worrying note Wingates Band alerted WCN to pressing problems threatening the future of this 140+ year local institution. Simply put, finances are under strain as the band needs to support itself, meet the costs of band competition (travel, equipment) and maintain its Wingates home. The band of first class musicians is one of the top 30 in the world, about to compete at the top table at the British Open at the Symphony Hall, Birmingham on the 9th September, however despite its efforts income is not sufficient. There is a new supporters club initiative (Form | Mandate), and the band will look at diversifying (e.g., education), to try to bring in more money to keep going. The final meeting of 2017 took place at the John Holt Centre and was chaired by Ann Benn of Friends of Eatock Lodge. There was a presentation by Mark Webster of Westhoughton High School talking about 'Citizenship' and the involvement of the school in community projects and initiatives, for example, the pupils being involved in the HeartBeat2020 Campaign (first aid training and defibrillators) and intergenerational work with Senior Solutions; we were reminded of the example set by former WCN chair, the late Harold Daniels, who mentored pupils. A second presentation was from Westhoughton Library, with Chris Brewster telling us about the work of the library, its importance as a hub and venue for community groups and the extra responsibility with the impending move of Bolton Council 'One Stop Shop' services to the library from the Town Hall. With so much going on, particularly in the run up to Christmas, the 'Information Share' keeps the town up-to-date with activities and events - a busy time for our Churches; a time of fundraising for local causes as Westhoughton Rotary Club undertakes its Santa Float run, and the two local amateur dramatic groups prepare for the pantomime season. A time of community and coming together. Wingates Band was able to report of good support as they weather their recent crisis and have hope for their future. Some new faces, and plans emerging for the New Year. As ever a cordial and fun meeting showing both the friendships and support that WCN has engendered over its six years plus of existence. The first meeting of the year took place at the Winifred Kettle Centre on Tuesday, 6th February, chaired by Steve Freeborn of Friends of Westhoughton Station. There featured a presentation from Macmillan Cancer Support giving an overview of their services and the impact of cancer on both those affected and those close to them; Westhoughton Art Group has supported Macmillan for a number of years and will be doing so at their March WAG Exhibition at Westhoughton Library in March (16th-24th) - a second exhibition 'Art by Elise' to follow on from this. There were updates about progress being made at the Community Hub, which is the home of Howfen Radio, soon to begin broadcasting online. Groups shared information as the busy programmes begin anew in a new year. Panto season for both The Bethel Crowd and Westhoughton Methodist ADS, but no rest as new shows are in the works… Fortunes for Wingates Band have improved - they are grateful for the support of WCN and the wider community - and are looking forward to both competing at Championship level and securing their future with a possible redevelopment of the Band Hall with an added community dimension. We had an update on the rail network investments and electrification (the Westhoughton line on hold) with details of work being undertaken and new rolling stock. As ever, lots to cram into our short time together with much going on. The WCN website had another good year, providing a useful resource promoting community endeavour and events. Full details of the meeting available in the minutes. Chaired by Janice Bayliss of WOW! (Women of Westhoughton), on Wednesday, 16th May saw us at Sacred Heart Church for a busy meeting opening with Dennis and Debbie Lee of the George Formby Society telling us about performing for HM The Queen at her 92nd birthday celebration at the Royal Albert Hall in London - we were treated to a rendition of their song from the evening, 'When I’m Cleaning Windows'. The meeting covered the new General Data Protection Regulation (GDPR) and how it affects handling private data. We had visiting presentations, including: Bolton CVS with Adrian Nottingham appraising of his role in working with groups to promote sustainability amongst voluntary groups, as well as general information about the Bolton Hub; Bolton NHS Foundation Trust were present to talk Health Improvement, with campaigns promoting healthy lifestyles and action on diabetes and heart disease (CVD); Co-op Members' Elsa Parker told us of the support given to Local Causes as shoppers donate to chosen schemes - currently W.A.S.P. and Wingates Band are receiving grants from the scheme. Groups were made aware of the 'Love Bolton, Hate Litter' initiative whereby local residents can obtain equipment for organised community litter picks. 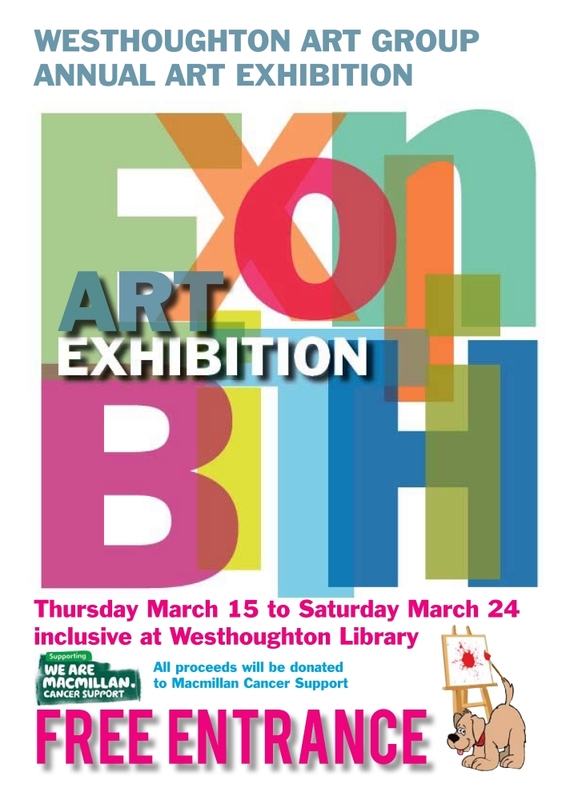 The information share updated all on goings on around Westhoughton. Rotary Club of Westhoughton an update on the 2017 Santa Float collections - £7,431 was raised, plus an anonymous £5,000 donation from an impressed local business man; £11,500 was given to good causes in March. Westhoughton Methodist ADS celebrating their 40th year with special events. St. James Church (Daisy Hill) looking to raise money to both maintain and create a community space at the Church. Remembering our former Chair, the Harold Daniels Legacy Fund busy with a Road Safety Quiz Competition involving local primary schools; commissioned by Westhoughton Town Council, a new memorial stone installed in Ditchfield Gardens. There were updates on a busy programme of summer community events, including a 6th Barking Berry's 'Fun Dog Show', the 2018 Yarn Bombing Festival, school fairs and the Friends of Eatock Lodge Family Funday. With Westhoughton Community Network entering its 8th year of existence, the (4th) September meeting saw us return to Brookfield Hall, with Mark Taylor of the Hope Centre/Hope Church in the chair. With many based here, there was a presentation about Freemasonry and the charitable work that Lodges do. 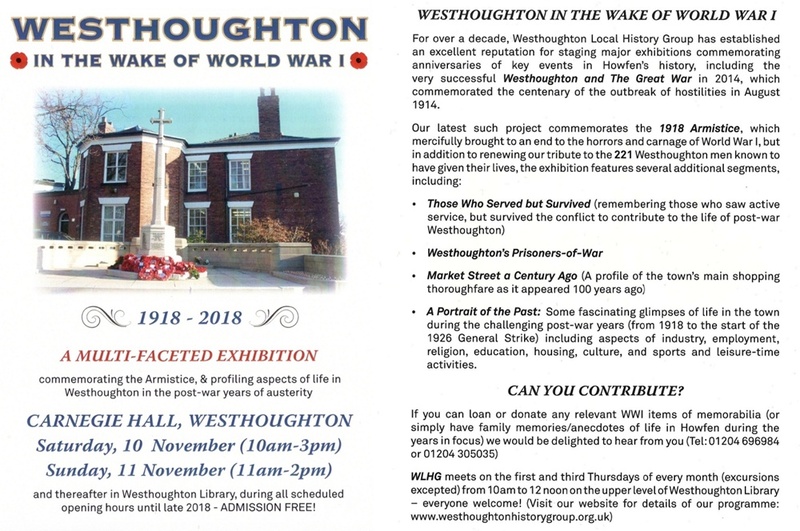 Westhoughton Local History Group will see projects around the 100th anniversary of the end of World War One - there are a number of Civic events too. Both the Bethel Crowd and Methodist Drama Groups have shows coming up - the late Bill Greenhalgh (WMADS) being remembered by a bench/planter installation celebrating his epic Shanghai to Daisy Hill organised by . Over the summer the John Holt Centre played a major role in distributing BL Lunches (from Urban Outreach), and also had a well-received school uniform exchange scheme. Still fundraising for Alzheimer's Research, the Travellin' Strings continue to be busy and in demand, soon to play their 5th Westhoughton Golf Club Beer Festival, Tim Eden also doing a show on local online broadcaster Howfen Radio. Wingates Band were soon to perform at the British Open for the second successive year, back competing with the very best of brass bands. A late change of venue saw us end the year at the Winifred Kettle Centre. Christmas is usually a busy time for the community. We caught up with Wingates Band who are now much more optimistic about the future and very grateful for the community support and help from official bodies. A Co-op Members Local Causes donation of £8,391 towards a PTSD project is a great help. The band has its big Christmas concerts coming up at Victoria Hall in Bolton (8th Dec) and St. John's Church Wingates (13th Dec). They are firmly back amongst the elite of brass bands having returned to the British Open Championships roster competing at the Birmingham Symphony Hall in September. 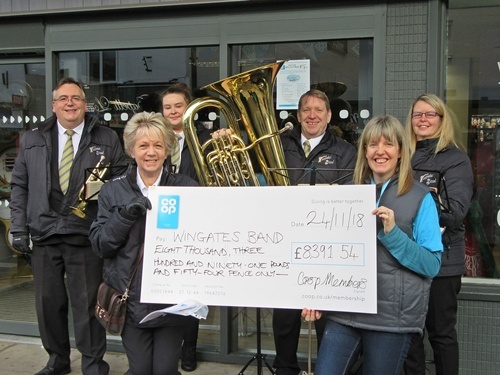 We were joined by Elsa Parker from the Co-op Local Causes team who told us about their scheme whereby members' shopping helps support local groups; in 2018 Westhoughton was fortunate to have both Wingates Band and W.A.S.P. (Westhoughton Age Support Project) chosen as beneficiaries, the latter receiving £8,588, which 96 year-old and group event organiser was happy to receive and show the group's appreciation - money that will pay for pensioner trips and the Christmas party - to which non-W.A.S.P. O.A.P.s are invited. 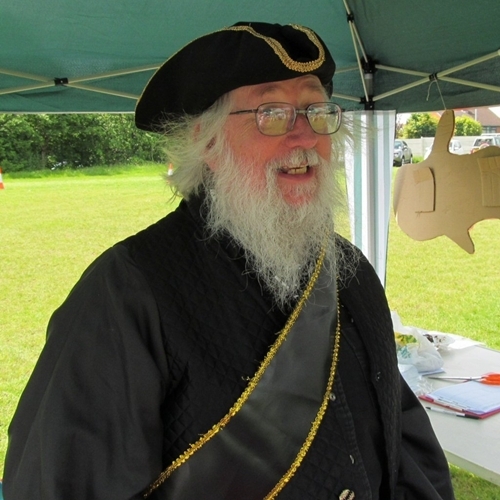 Plenty of other things going on: Friends of Eatock Lodge announced a Big Lottery bid success for a major project during 2019; busy time for our amateur dramatic groups - it being Panto season. Ahead of the Christmas Lights switch-on (30th - 8pm at St. Bart's), our Churches which do so much in the community are preparing for Christmas and promoting the Urban Outreach 'Christmas on Jesus' collections to give food hampers to the needy; here in Westhoughton as well as normal Grub Tub (14) operations, the call has gone out for 600 ½lb Christmas puddings. The Rotary Club is gearing up to calling up Santa to help them with their Santa Float fundraising activities up to Christmas with collections starting 8th December and running up to the 22nd. Very popular with local children and raises a great deal of money to help support local charities and groups. The latest Local History Group exhibition at the Library about Westhoughton post-WW1 is in full flow, and receiving very positive feedback. Choirs, women's groups, football clubs, creative groups and Howfen Radio gave updates. A convivial meeting with a good atmosphere and great friendship. As ever so much going on in the local community, with contributions from young and old from all walks of life. Our next WCN meeting will take place Tuesday, 12th February at the John Holt Centre. Westhoughton Community Network can be contacted using the email address below. Should you wish to contact us by phone you can call 07946 418952 for more information on the group, meetings and events. We can also put you in touch with other groups or find someone who can help with a particular matter. Westhoughton Community Network being made up of a number of independent, participating groups receives no funding, relying on the generosity of individuals and the offer of venues and facilities for meetings. Should any companies or individuals wish to offer support to help with costs for the upkeep of the website and back-office support this would be most welcome; as would donations that could be of benefit to all of our groups.